Construction Site Cake with Diggers and Edible Rocks! 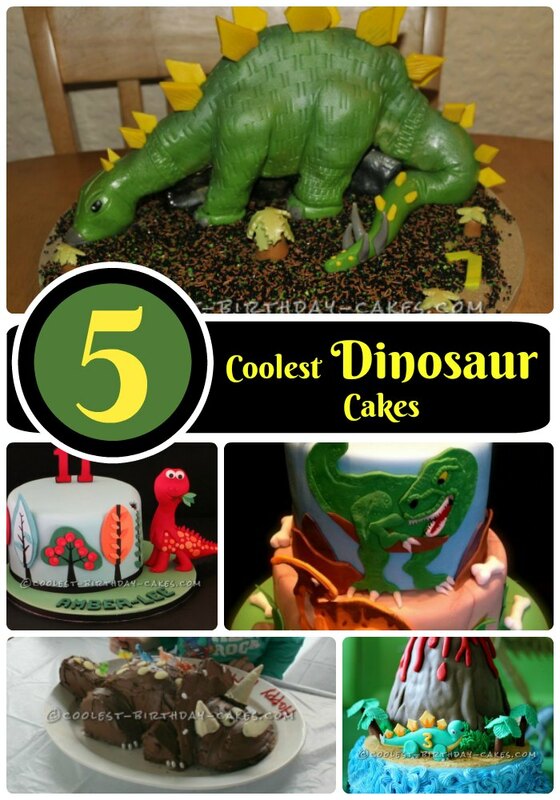 I made this edoardosaurus-Rex Dinosaur cake for a friend’s son who was turning 8. I found ideas on the internet and ended up adapting a template for a dragon cake. I used two round 8 inch white/butter cakes. The body is one of those cakes cut in half and put together, the other cake was cut up to make the head, feet and tail. I iced the cake using butter cream icing in blue and green which I piped on for the most part with a star tip. The writing is melted chocolate which I piped onto grease proof paper and left to set. This cake was very easy to put together, and while the piping was not difficult, it was time consuming. It was a big hit at the party!